The 2018 California walnut production is forecast at a record 690,000 tons, up 10 percent from 2017’s production of 630,000 tons. This is very close to the Handler’s Estimate of 691,000 tons that came out at the end of July. This forecast is based on the 2018 Walnut Objective Measurement (O.M.) Survey, which was officially conducted August 1st through August 21st. , 2018. Late spring rains provided cooler conditions which increased kernel size and helped quality. Insect pressure was reported to be down from last year. During the excessive heat waves over the summer, growers applied preventative materials to help prevent sunburn. Harvest is expected to begin during within the next 2-3 weeks, during the middle of September. 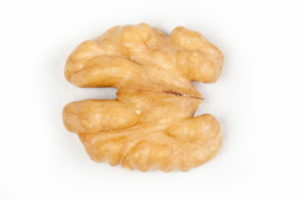 The 2018 Walnut O.M. Survey utilised a total of 726 blocks with two sample trees per block. Survey data indicated an average nut set of 1,176 per tree, up 3 percent from 2017’s average of 1,141 per tree. Will this estimate now bring more buyers into the market? The 690,000 tons is right in line with what the suppliers had originally thought. We do expect pricing to remain somewhat stable until we get into harvest and see what the yield and quality of the crop will be.